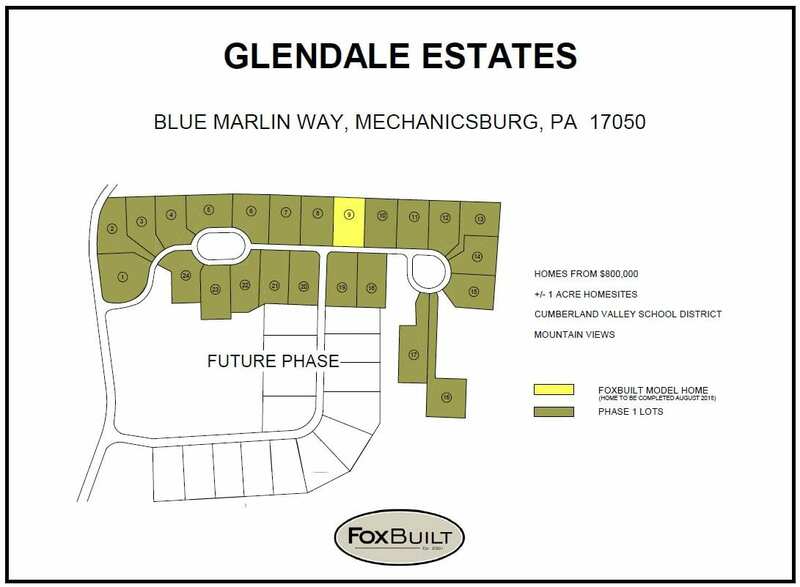 Glendale Estates is the next exclusive neighborhood in Mechanicsburg. Construction is currently in Phase 1. The custom home sites are +/- 1 acre and are surrounded by 46 acres of green space with a spectacular mountain view. 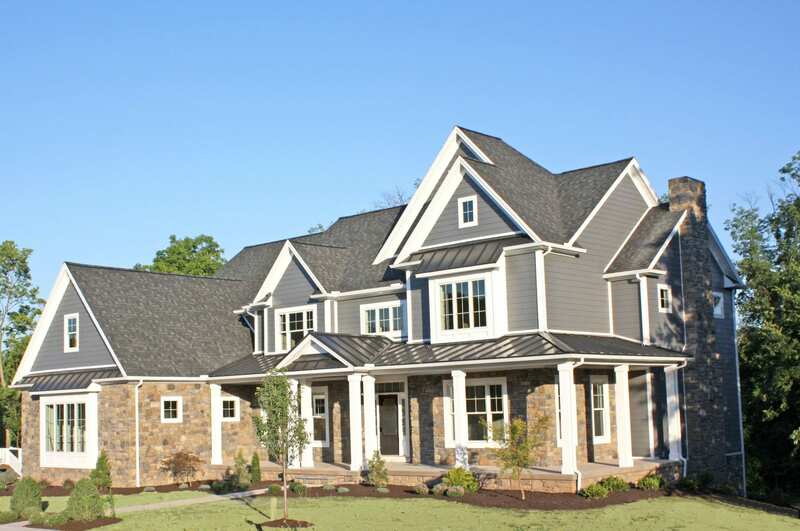 Glendale Estates offer the best of both worlds — an exclusive, private neighborhood that’s only a 5-mile drive from the new Wegman’s, and many restaurants, entertainment venues, and other shopping areas found along the Carlisle Pike. Design rendering of the model home we’re building in Glendale Estates. Expected completion is September 2018. This 39-lot subdivision is situated just north of Mechanicsburg. The main entrance is on Blue Marlin Way, which intersects with Wertzville Road (Route 944). Glendale Estates is in Silver Spring Township, Cumberland County. The schools are in the Cumberland Valley (CV) School District. The CV high school ranks #37 in Pennsylvania for 2018 and was awarded a Silver Medal for state required test performance and college readiness. Mechanicsburg is located 8 miles west of Harrisburg. 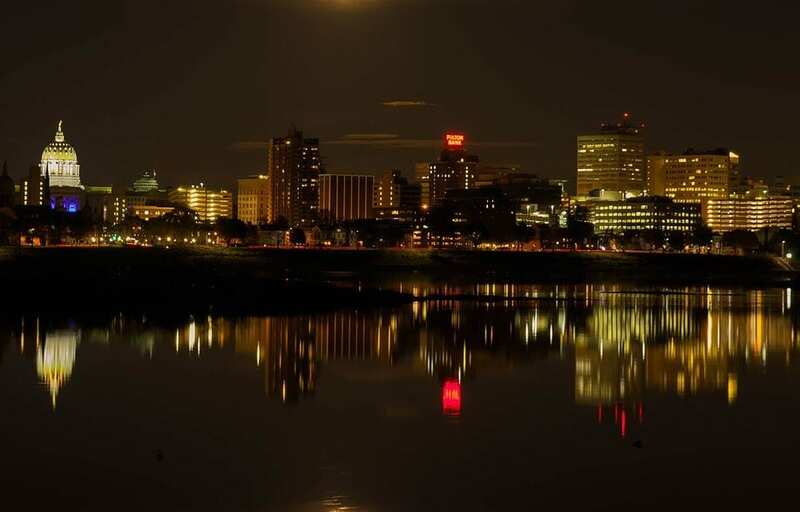 The area is sometimes referred to as the “West Shore.” The area features a low cost of living, low unemployment, and proximity to key transportation routes. Interested in learning more about building here? Contact us if you have questions of would like to schedule a site visit. Several major interstate highways run through Cumberland County, which makes travel throughout the Mid-Atlantic states easy. Interstate 81 and the Pennsylvania Turnpike are both just a few miles south of Glendale Estates. Downtown Harrisburg is 13 miles east (about 20 minutes) and Philadelphia’s suburbs and Main line is about 1.5 hours away (via the PA Turnpike). Local routes and highways include Route 15 (south to Gettysburg), Route 322 (to Hershey and Lebanon), and Route 283 (to Lancaster County). Harrisburg International Airport is a 27-minute drive from Glendale Estates. In 2015 and 2016, we submitted homes in the Deaven Woods Community for inclusion in the Parade of Homes. Both homes won multiple Gold awards for their category. A limited number of plots are still available in this exclusive neighborhood. Packages for a custom home in Glendale Estates start in the $800s. Contact us to start designing your dream house today.